A couple wakes up to discover that the natural world has receded, leaving nothing behind but the erased canvas of earth, dotted only by sidewalks, billboards and roads. And yet, everyone else is continuing life as usual. How do they go on? 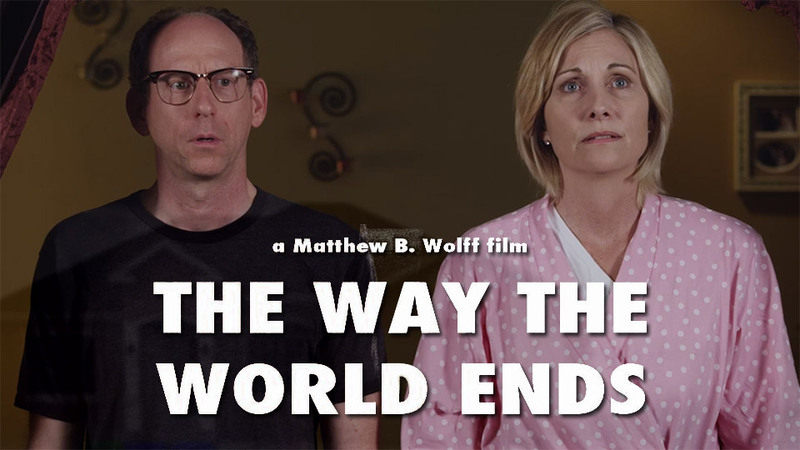 The short film is directed by Matthew B. Wolff and stars Joseph Buttler, Mary Mackey, Kim Estes, Nicholas Hormann, Daved Wilkins, and Heather Fox. You can stream the full 14-minute film free now on Snagfilms. The film does a nice job of setting a surreal, uncomfortable mood. And we like our heroine, Susan’s, gumption to try to go after the vanished world. But perhaps not everything is quite as Dave perceives it.